As regular readers will know I am a member of the board of directors of DCA. The regular board meeting was held on Thursday evening. Amongst a range of issues which were discussed there was a presentation on the excellent learning strand of the DCA's work. 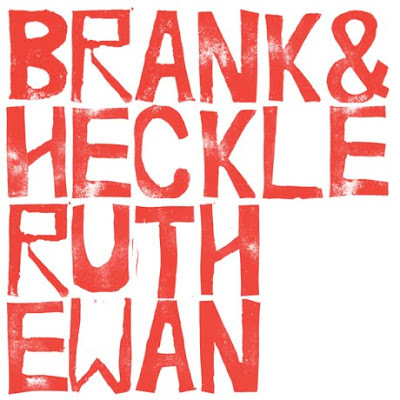 I also visited the latest exhibition at the DCA called Brank & Heckle by Ruth Ewan. This is a very interesting exhibition which includes lots of political and historical references. As a historian this appealed to me. I would say that the exhibition is well worth a look and you should check the website for details of opening times and other events. As Labour's Environment spokesperson today I expressed my delight that Dundee's excellent Flower and Food Festival is still going. I hope that this year's event is a great success. Last year during the event there were reports that the City Council was considering scrapping this really popular event. I am delighted that contrary to reports last year the council still supports this excellent event. Last year I pledged to work with anyone to ensure that this event continues. I hope that this year's event is a huge success and that it is enjoyed by a large number of Dundonians and visitors to the city. I'm looking forward to going to the Flower and Food Festival over the weekend and I would urge everyone to consider visiting this excellent family occasion. As Labour's Environment spokesperson on Dundee City Council I have stated that there is no excuse for fighting in parks. Tayside Police have raised concerns about a recent spate of violence. I'm calling on anyone with any information about recent violence to contact the police. There is no excuse for violence in our parks. I support the police in their efforts to stop this. It is unfair to blame only young people but I would ask all parents and guardians to ensure that they know where their children are. The city's parks are a great resource for all the citizens of Dundee they should not be a venue for gang fights. I will support efforts by the council's new Environment Department to work with the police and others to do all that can be done to stop this. However, the main way to stop these is for anyone with information to speak to the police. Tonight I attended a meeting of parents with children at St John's High School who are concerned about changes to the bus service between the West End and St John's. I was pleased to join my ward colleagues, Donald Hay and Fraser Macpherson, in attending this meeting of parents. It was important to listen to what parents had to say and to listen to the problems which they are facing in getting their children to and from St John's High School. These parents and pupils live in the catchment area for St John's they should be provided with the same assistance to get to school as other pupils in similar situations are. For example, there are school buses provided to St Paul's Academy in a very similar situation. I know that the parents will make their views heard and I hope that the council will listen to their concerns. I will continue to make the case to education and city development departments. I would like to say 'Eid Mubarak' to all my constituents and friends who are celebrating. I think that it is important to mark all these community events. It was ridiculous when the City Council stopped celebrating Christmas a couple of years ago but it is now important that we look at ways of marking other celebrations in the city. A recent report to the council's Policy and Resources Committee said that the council should look at ways of celebrating community festivals. I think that this is something that we need to look at. Dundee must be a city which is welcoming to all its citizens. Eid al-Fitr is a special time of year, marking the end of the Islamic holy month of Ramadan – the month of prayer, reflection and fasting; of charity, service and giving. It gives people the chance to think about those who are less fortunate than themselves, something which has an even greater significance this year with the devastating drought in East Africa. It brings together friends and families, and encourages Muslims to continue the teachings from the month of Ramadan throughout the rest of the year – helping to build the strong local communities. As you join together to celebrate, particularly in this time of unrest, we all remember the importance of our shared values of respect, understanding and tolerance towards all people regardless of faith or nationality; values which were so movingly expressed by Tariq Jahan following the tragic loss of his son Haroon. I would like to take this opportunity to thank the Muslim community for the work you do here in Britain and I look forward to working with you and people of all faiths or none to build the better society we need. I'm concerned about the on-going delays in implementing a Council decision to consult formally on a residents parking scheme in the West End. It is essential that people in the West End have clarity about these proposals. You can read the last report to the council here from page 31 onwards. There are many problems related to car parking in the West End. I do not think that all of these problems have easy solutions, there are now many cars in streets that just were not designed with car parking in mind. The City Council agreed to consult on a residents car parking scheme, this has been delayed and delayed and delayed. I think that people in the West End are less interested in the reasons why the consultation has not been brought forward and more interested in having a clear sense of what the council is doing with regard to the parking issues in the West End. I am not convinced that the residents parking scheme is the solution to the problems in the West End. Not least among my concerns would be that the cost would seem to me to be a problem, with an indicative figure of £80 per year mentioned in previous reports. We need a decision on this, the people of West End should be presented with the full proposal and given the opportunity to have their say. If the residents parking scheme is what they want then let's move forward; if not let's look at alternatives. In the meantime little is being done about the very real issues in the West End around car parking. Clarity and action are required. 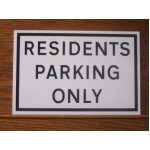 I have grave concerns about the impact a residents parking scheme might have on businesses in the West End. At a time when we should be all we can to promote the Perth Road shops I think that we need to ensure that we are supporting them as much as possible. If council officers and/or the Administration of the City Council do not support the residents car parking scheme they should make this clear and bring forward alternative proposals.